Search for the 2018 Evesham Carnival King and Queen starts NOW! This year’s popular fundraising community event Evesham Carnival which is celebrating a special 90th anniversary is on the search to find this year’s Carnival Queen and new this year Carnival King as well as a group ‘royal’ attendees to board the Carnival float procession on 30th June 2018. 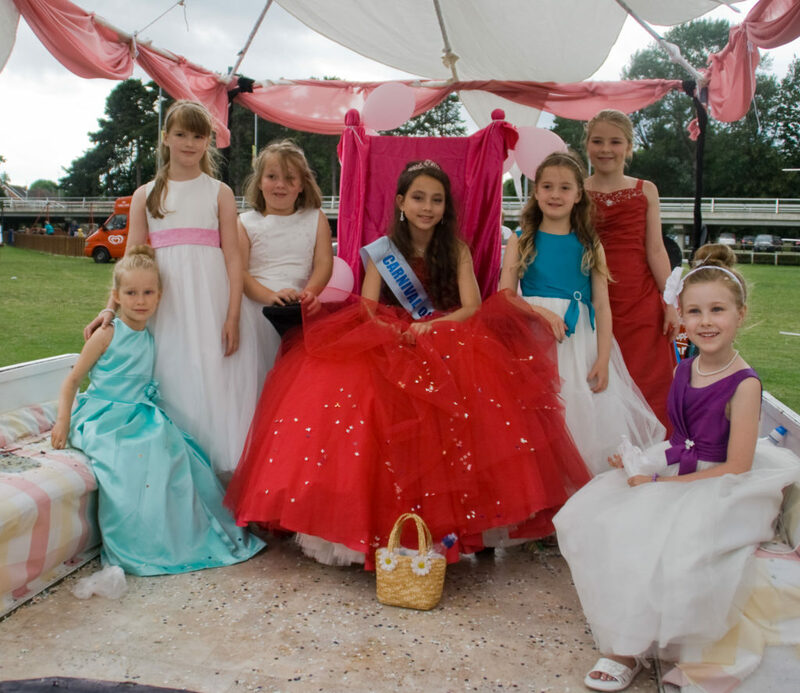 Seeking this years Carnival Queen and for the first time Carnival King, Evesham Ladies Circle are inviting boys and girls aged 6-16 to send a picture and blurb about themselves, poem, or you can email them a video clip showcasing a talent – like singing, dancing, skateboarding, or juggling maybe? A panel from Evesham Ladies Circle along with previous Carnival Queens will then select 2018 Carnival King and Queen (aged 11-16) and also a group of ‘royal attendees’ (aged 6-11) all to board the leading Carnival float and fly the flag for Evesham’s popular fundraising Carnival. As King and Queen it is an important and prestigious role that starts with sitting at the head of the 2018 Evesham Carnival, the chosen king and queen will retain their title for a whole year, attending events and functions, raising money for their own chosen local charities, and enjoying the status of being genuine local celebrities! As King and Queen they can achieve so much and utilise their role to inspire others as well as flying the flag for Evesham Town Centre. With past Carnival Queen winning community awards for her fundraising it really is a role to be proud of. Please note emails must have parents permission and contact parents contact details and entrants name and age. Closing date for entries is 1st May 2018.